I just wrapped up presenting two sessions at Codemash and I’ve never learned more about how to improve from a single session. How? Well, a few days ago I was chewing on ideas to gather more useful feedback from session attendees. I often get tweets and handshakes afterward but people virtually never come forward and say “man, you screwed up here, and this is why.” People aren’t naturally comfortable providing constructive criticism, especially when it’s unsolicited. Thus the few people who come forward provide nearly universally positive feedback. The priceless information on how you could get better walks quietly out the door. Seth Godin sums up the problem well in his recent post, The feedback you’ve been waiting for. Of course, that’s not feedback, really. It’s applause. Applause is great. We all need more of it. But if you want to improve, you should actively seek feedback. And that feedback, if it’s more than just carping, will be constructive. No one wants to hear negative feedback. What’s in it for me? Why should I bother saying what I think he’s doing wrong? I’m busy and don’t want to get stuck in a long conversation. I really want to get better as a speaker. 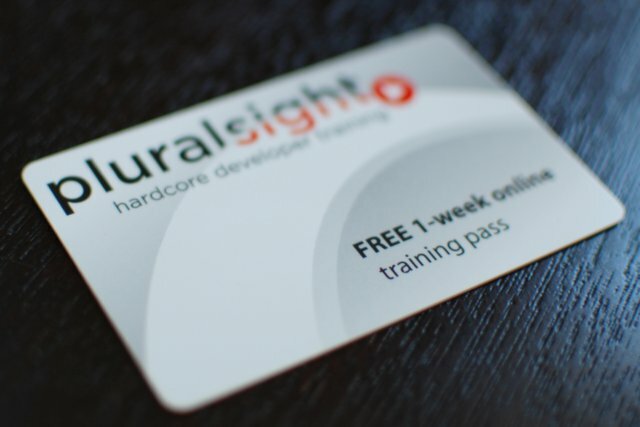 So if you come forward and tell me just one thing you wish I’d done differently in this session, I’ll give you a free one week pass to Pluralsight. Now you’re free to say something nice too, but if you want the free pass, you have to tell me something you’d change about this presentation. The response surprised me. In a room of 150+ people, around thirty attendees marched forward immediately after my session and created a large semi-circle around the speaker lectern. They were smiling, but clearly ready to “let me have it!” And their input? Priceless. They pointed out issues I’d have never noticed. One gentleman was confused by some slides with text in two columns. I said “The green text is advantages and red text is disadvantages – Was that unclear?” His response? “I’m colorblind.” Of course! My mistake is so obvious to me now. Someone else shared a great idea of rearranging the order of my slides to avoid giving away the punch line to a joke too early. Another suggested selecting a more general title because although my title mentioned .NET, he found it very useful as a Java developer and almost didn’t attend because of my overly narrow title. What’s interesting was how upbeat and collaborative the tone was throughout the conversation, despite the fact that it was about what I was doing wrong. And in retrospect, that shouldn’t have surprised me. I asked people for a favor. And once someone does you a favor they may have to resolve a cognitive dissonance. It’s the Ben Franklin effect. Ben Franklin once asked an opponent of his if he could borrow a book. In doing so, he converted an enemy into a friend. After lending Franklin the book, the opponent had to resolve the dissonance of his attitude towards Franklin, whom he also had just done a favor. He justified doing the favor by telling himself that he actually liked Franklin, and, as a result, he treated him with respect instead of rudeness from then on. So even if people hate your session and think you’re a total moron, if you ask them for feedback to get better, they’re likely to do so with a tone of kindness. I’d given this “Pragmatic Architecture in .NET” talk a half dozen times and this was the first time I’d been made aware of any of these issues. The most inspiring thing about this experience was that as each person provided me a piece of constructive criticism, they didn’t immediately walk away after I handed them the card for the free trial. Many stayed in the semi-circle and continued the conversation on how to make the session better! Asking for negative feedback and offering an incentive to do so converted a selected group of attendees into a collaborative brainstorming team that seemed genuinely excited to help me make the session better! We had a shared goal which created a team atmosphere and removed the normal risks of being negative. 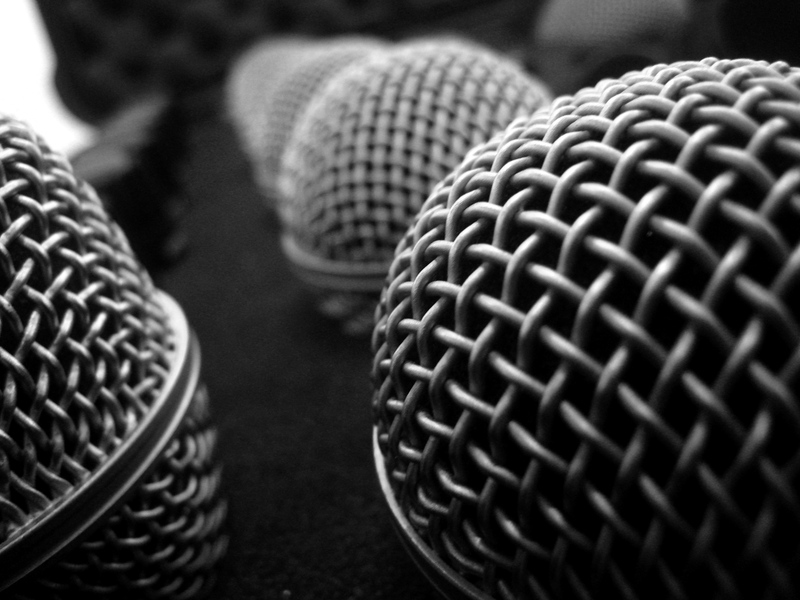 I really want to get better as a speaker. So I’m holding a quick five minute session retrospective immediately following this course. In thanks for your feedback, I’ll give you a free one week pass to Pluralsight. And here’s the fun part: To participate you have to tell me at least one thing you’d change about this session. Now you’re free to say something nice too, but if you want the free pass, you have to tell me something you’d change about this presentation. Who’s interested? First ten hands are in. I look forward to updating this post once I see how this approach works. Bottom line, many people find helping one another and collaborating on a problem inherently rewarding. But they’re also natural conflict avoiders. This approach works because it resolves the latter and leverages the former. While my example is specific to speaking at conferences, these principles and approaches are relevant to many aspects of life. Want to become a better developer? Offer to buy a senior developer lunch if they’re willing to review your code and suggest improvements during lunch. Want a few people at work to seriously review your latest blog post or side project? Buy a couple pizzas and use the conference room to discuss your work. The important thing is to make it clear you’re not looking for platitudes, you’re looking for criticism. And you’re serious enough to offer something free as a gesture of thanks. Being simultaneously vulnerable and generous is a powerful combination for generating commitment and good will. Do you have a different technique for soliciting feedback? Have a suggestion on how to tweak this approach? I’d love to hear from you in the comments. This entry was posted in Self Improvement by Cory House. Bookmark the permalink.